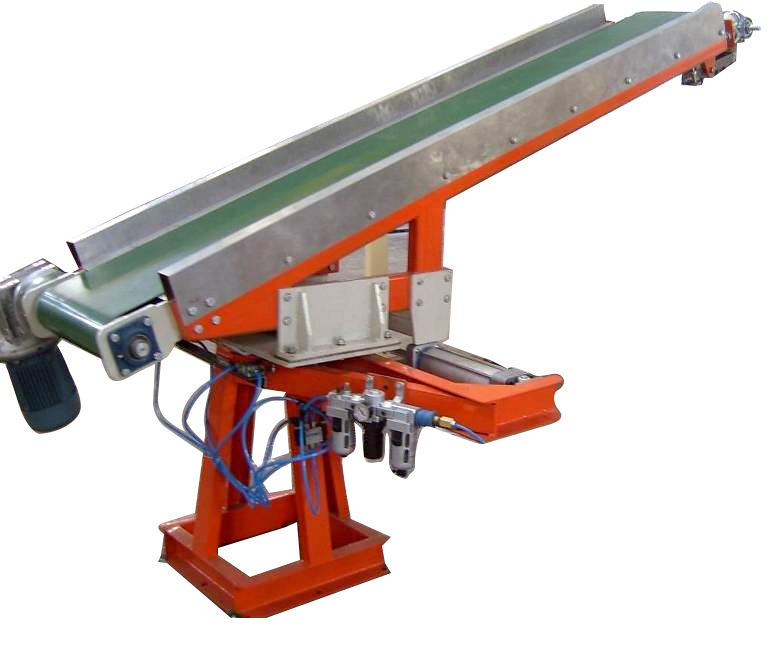 The OSCO - Oscillating swing conveyor designed in-house by team of Engineers is suitable for conveying and spreading all kind of grainy, flakey and powder materials.The OSCO helps to spread the feed material uniformly over wider machines without handling.Since handling is not involved,the materials retains it make and avoids compaction. The OSCO consists of a conveyor with drive,Pneumatic cylinder with related accessories,Magnet with reed switches and a Ball breaker.The materials to be conveyed to the wider machines down the process line is fed into the OSCO conveyor which oscillates to and fro about a fixed point in palne assited by a pneumatic cylinder.The sweep of the conveyor is fixed the position of the Reed switch and Magnet fitted inside cylinder.Number stokes per minute is controlled by the air pressure in the pneumatic cylinder. Ensures uniform distribution of the feed material irrespective of the machine width.No additional spreader is required.